MTHFR Diet. 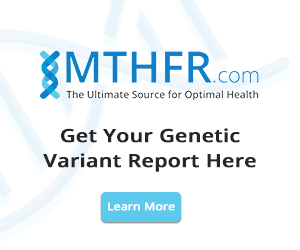 What Do I Eat If I Have The MTHFR Mutation? Bake Up These Gluten-Free Banana Bread Muffins! One-Pan Salmon for Dinner Tonight! A Delicious Dinner – Asparagus Lemon Risotto! 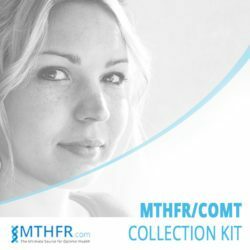 The MTHFR gene is arguably the most important of all genes in the human body because it has a direct effect on methylation, a process that controls the expression of every other gene in our DNA.In addition it also controls intracellular detoxification (therefore, total body detoxification), the immune system, RNA Synthesis and much more. Over 80% of the population has an MTHFR gene mutation in one of the two most important alleles (C677T or A1298C). These mutations may cause people to lose from 20% to 80% of their ability to metabolize folate (folic acid). Folate is the main fuel for methylation and without the proper amount of folate converted into methylfolate, a person may be more prone to develop inherited health conditions and may not properly detox. Although a genetic mutation on position C677T may elevate a person’s homocysteine levels, that is not the reason to get tested. The number one reason to test for this gene mutation is to check whether levels of usable folate or methylfolate may be affected. A blood test for serum folate or folic acid measures all types of folate, including unmetabolized folic acid and raw folate. The blood test results do not reveal the true number of usable folate; the only way to determine what the body is absorbing is to calculate total serum folate based on your unique genetic mutation. An MTHFR test can help you estimate actual levels. The good news is that a person only has to get this test once in their life because DNA will never change. A doctor should always include testing for serum folate and vitamin B12 levels during annual checkups and calculate the estimated actual usable folate levels based on the patient’s MTHFR mutations. Pay attention to “normal” laboratory levels vs “Functional” levels. Most biochemical markers are determined by an average of 90% of the population where functional levels are the ideal levels regardless of the population. To read about how to calculate the ideal folate levels read this article.